Median is a kind of typography which originated in a large process of research and selection of serif text families. Sopi is a typography of ornaments, borders and combined frames. It was inspired by the design of limestone tile floors. This is our typographic catalog. 10 STYLES: thin, light, medium, bold, black and their italics | Some styles include small caps. 16 STYLES | 8 SANS + 8 SLAB: light, regular, bold, black and their italics | Some styles include small caps. 5 STYLES: book, book SC, italic, bold and bold italic. 3 STYLES: regular, italic, and bold. 10 STYLES: light, regular, bold, black, ultrablack and their italics. Who we are, and what we do since we get started. He was born in Buenos Aires. He has directed the firm called Fontanadiseño for 40 years. He incorporated the teaching of Typography to the School of Graphic Design of the University of Buenos Aires. He was the head of the departments of Typography I, II and III up until 1997. He has lectured for graduate and master's programs at various Universities in Argentina, Brazil, Canada, Colombia, Cuba, Chile, Mexico, Paraguay, Peru, Uruguay, Spain and Holland. His works in graphic design are part of the collection belonging to the Museum of Modern Art in New York City, among others. He has directed an event called Bienal Letras Latinas and from 1987 to 2006, and for a 20-year period he was the publisher of the magazine called tipoGráﬁca. He has been a graphic designed who learned about this “on the job” (22 years of uninterrupted work); he is the director of the Graphic Design Firm called Fontime, specialized in typography and packaging. He is a member of ATypl (Association Typographique Internationale) and of the typographic collective project called T-convoca. In the typographic field,he has developed a new method for the drawing of Bezier curves and since 2005 he has been teaching typography together with Marcela Romero and Pablo Cosgaya at the Centro Cultural Ricardo Rojas. His typographic projects have been selected for the Bienal Letras Latinas 2004 and 2006,Typecon 2003 and 2004, Bienal Tipos Latinos 2008 and for Loreto typography (designed together with Pablo Cosgaya) he has also received the first mention in the typographic contest Castilla de la Mancha from Spain and in the Bienal Letras Latinas 2006. Graphic designer. In 1998 he began to actively take part in the field of typography while at the same time he worked as a teacher of typography at the Universidad de Buenos Aires during the years 2002/3, and performing typographic fonts for several type foundries: uscita (shift jp),1998; ultranova (t-26), 1998; cineplex (linotype), 2002; FF Jackie (fontfont), 2004; Malena published in 2007 and Overlock will be published in Tipo in 2008. Juan is photographer, student of graphic design and teacher of Typography at Buenos Aires University. «Botija», your first typographic design, have been selected for the Bienal Letras Latinas 2004/2006. Your next typographic design, «Ema Serif» have been premiated as the best text font for Tipográfica magazine during the Bienal Letras Latinas 2006. Actually, he work in your study called "Remolacha diseño". Pablo is a lecturer of Typography in the Graphic Design undergraduate program at FADU, Universidad de Buenos Aires. He is a member of the director's board of the new post-graduate program of Specialization in Typeface Design at FADU (Buenos Aires University). He was head of the team in charge of designing newspapers and periodicals in Argentina such as El Ciudadano (Rosario), La República (Corrientes), and Acción (Buenos Aires). He has designed the typefaces Patagonia (with Héctor Gatti), Proceso Sans, CDIcons (with Marcela Romero) and Loreto (with Eduardo Rodriguez Tunni). Pablo frequently writes about typography in specialized magazines. He is member of the Association Typographique Internationale (ATypI). Has been a teacher in Graphic Design at the UBA since 1986, for subjects such as: Design,Editorial Design and Typography, in an alternated way. Fonts designed: Belen, Alexandra, Malena (together with Darío Muhafara), UnePipe and Priscilla. He goes to a café every afternoon and is deeply in love with a women much younger than he is. Diseñador gráfico y Especialista en Diseño Tipográfico, ambas carreras egresado de la Universidad de Buenos Aires. Desde hace más de 10 años se desarrolla como diseñador en distintos estudios de diseño y editoriales de revistas, libros y periódicos. Como así también desde su estudio UGR Design. Colabora de forma permanente con la Organización SIL International, en el desarrollo de alfabetos y tipografías fonéticas. Como docente colaboró 3 años en la materia Tipografía 1 de la carrera de Diseño Gráfico, en la cátedra Cosgaya. Y también colaboró en la carrera de especialización dando charlas y siendo adscripto en los trabajos finales. Varias de sus tipografías fueron seleccionadas en las bienales de Tipos Latinos 2010 y 2012, para ser parte de las exposiciones que recorren América Latina. We are proudly members of the Type design Career that started in April 2009. We are in charge of many type design asigments. In recent centuries, the Latin Americans used typefaces designed in other regions. 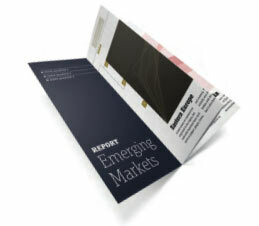 In the last decades, we developed studies on thematic at academic level in the graphic design career. In the last years we designed typefaces that respond to the international high levels satisfactorily. Latin America is building a new relationship with typography. The technological advances transported changes in the thought patterns, modifying the statute of some users, now turned into producers. The Career of Specialization in Design of Typography of the University of Buenos Aires aims to institutionalize and systematize the design of typefaces and research on the subject. With the focus on the specific complexities of our languages and cultures. The objective of the workshop was to experiment difference non traditional tools and techniques around the drawn letter. Typeface created for country brand of Argentina. In a first stage the logo was designed and then expanded to a 6 Weighs family. The project was developed for Future Brand, who was in charge of this country brand in 2013. The idea was to find a logo with a look that was both contemporary and long lasting. The versatility of this typographic family allows a wide variety of uses for very different situations. From sanserif origin and humanistic spirit, its kind and precise characteristics make it unique. His italics refer to calligraphic stroke to complete the usability in the text. This typography was requested by writer and humorist Roberto Fontanarrosa. The development of this typography started based on the analysis of his writings so as to digitalize signs at a later stage, being respectful of their morphology although simplifying their shape so as to optimize thir use. To complete this set of characters, it was necessary to generate non existing signs. Anarrosa was used to create texts to match the humour-filled writings by Fontanarrosa published in daily Clarín and ,on Sundays,and in Viva magazine, which corresponds to the same newspaper. As usual with software, you do not 'buy' our font software but pay a license fee and then are granted the (non-exclusive and non-transferable) right to use it. Typeface design and font software are and remain intellectual property of and are owned by Tipo. Please see our end user license agreement for details about licensing and using Tipo font sofware. Please send us an email at info@tipo.net.ar for use on more than 50 computers. You can purchase additional licenses at any time. E.g. if you have two licenses (6 to 25 computers) of a font and want to use it on 28 computers in future, you need to get 1 additional license. For orders through our website, the company MyFonts is our distributor, and provides payment & download services. This license agreement is a legally binding contract between you, the licensee, and Dario Muhafara / Eduardo Tunni (TIPO). By downloading our font software, you acknowledge that you understand this license agreement and promise to comply with its terms. If you do not accept the terms, please do not complete the purchase transaction. Upon payment of the usage fee, you are granted the non- exclusive and non-transferable right to use the font software on a number of computers within your organization as determined by the number of licenses you have purchased. You can purchase additional licenses at any time. Each TIPO font software is licensed for use on a maximum of 5(five) rasterizing devices connected to the same local area network. If the font is placed on a font server, each device that accesses the server counts as one. Typeface design and font software - including all updates, expansions, modified versions and working copies - are intellectual property of and are owned by TIPO. You agree that typeface design and font software are protected by International copyright, design patent and trademark laws. All rights reserved unless expressly granted in this agreement. You are allowed to make only one backup copy of font software, documentation and license agreement. You are not authorized to distribute the font software in any way, whether by selling, lending, donating or otherwise. A transfer of the license you were granted requires a written permission by TIPO; upon transfer of your license, you must delete the font software and all copies thereof. You are not allow to give a copy of the font software with your release file to your service bureau for exposing/printing your release file. You are allowed to embed the font software in digital documents (e.g. PDF files) if you represent and warrant that licensee's encryption of the embedded TIPO font software is secure enough to prevent access or use by anyone using the software in which the font data is embedded. Every TIPO font software allows embedding with read-only status. Embedding the font software in commercial products (e.g. eBooks) requires a special license. In this case user must purchase an additional license from TIPO based upon usage. Any TIPO font software must be used according to the original licensing terms. This means, for example, that any modified TIPO font software, or any outline information derived from any TIPO font software is still licensed for the same number of devices as the original and may not be sublicensed, given away, or sold without written permission from TIPO. TIPO is responsible for technical support of its officially distributed fonts only. TIPO is not responsible for modified and/or regenerated software. By licensing TIPO font software you agree to credit TIPO as the trademark and copyright owner of the TIPO fonts and list the font names, wherever and whenever design, production, or any other credits are shown. 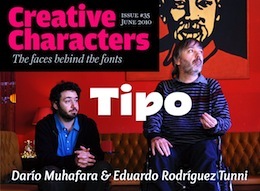 TIPO has done everything to produce high quality TTF, PS1 and OpenType fonts. Minimum system requirement is Mac OSX or Windows 2000/XP. If you purchase OpenType versions, please note that not all systems or applications support OpenType features and kerning equally well. If you do experience any difficulties with our font software, please contact us, and we will do our best to resolve any issues. If this should not be possible, we will be pleased to replace or refund your money, which shall be the limit of our liability in this transaction. To replace the software or refound the money it has to be accompanied by a valid sales receipe. Except for this warranty granted, there is no warranty for performance or results obtained by using the font software. TIPO will not be liable for any damages, claims or costs whatsoever or any direct, indirect, special, incidental or consequential damages, business interruption, nor for lost profits, savings or business information, arising out of any use of, or inability to use, the font software. Under no circumstances shall TIPO's liability exceed the cost of replacement or money refound of the software. If you violate any term of this agreement, TIPO will immediately terminate the license and right of use. In the event of termination, you must inmediately return the font software to TIPO and certify that no copies remain in your possession or exist on the originally licensed site. The TIPO font software is protected under domestic and international trademark and copyright law. You agree to identify the TIPO fonts software by name and credit TIPO ownership of the trademarks and copyrights in any design or production credits. Our typographies include a life guarantee. This is the available OTF features posibilities for tipo typefaces. Note 1 each typeface has its own OTF features set availables, and can defer from one to the other. Please refer to the font specification in it PDF specimen. Note 2 OTF feature require some expertise to use them and every software has different levels of OTF feature implementation. In most cases you can acces the complete glyph set by the glyph palette. In order to know the limits of the latter, see Terms and Conditions of Licenses. If you need any support on our typographies, or if you wish to make any inquiries regarding any concerns you may have on the installation or limitations of our typographies, please contact us to info@tipo.net.ar Technical features speciocation Here you will ?nd an explanation from the possible features our typefaces could have. Our typefaces are available on OpenType (.otf PostScript flavored). by default. Web formats WOFF and EOT Web-only formats through myfonts.com. If you need to ask any question, please contact us. This information is for internal use and it will not be redistributed or shared with other persons or companies.